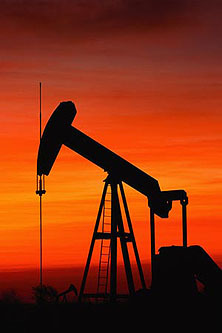 Republicans have lately ratcheted up their “Drill Baby Drill” rhetoric, and they can now frequently be found claiming that the United States has enormous oil reserves that could make us energy independent if only we opened up drilling everywhere within shouting distance of our borders. This came up yet again during last night’s Republican debate and I briefly thought about mentioning how inane this has all become in a blog post. But it was only a few minutes until dinner time, so I skipped it. Luckily, Michael McAuliff at the Huffington Post has done it for me. You can click the link for details, but the bottom line is that if we damned the torpedoes and drilled like maniacs in every single oil-bearing formation in the country, it would….barely make a dent. Global oil prices would hardly respond at all and we’d continue to import huge amounts of oil every day. We do have lots of coal, and we also potentially have lots of natural gas depending on whether fracking can be done without destroying the environment. The jury is still out on that. But oil? Forget it. We just don’t have very much no matter how crazy we go.